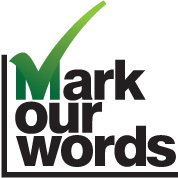 The team at Mark Our Words pride ourselves in ensuring that what gets submitted to us gets returned to you at the highest standard. We edit and proofread to ensure that your writing is clear and concise. This way, we'll help you to be better able to efficiently communicate your ideas.